Steve’s breakdown: It’s because Kenmore branded products are going to sold on Amazon. We believe this development requires Sears to review their advertising strategy. HOFFMAN ESTATES, IL: Amazon is staking a claim in the appliance market in a big way in a partnership with Sears Holdings. The embattled retailer announced it will sell its prized Kenmore-branded appliances on Amazon. The deal opens the way for the broadest distribution to date of Kenmore products outside of Sears stores and its websites. Distribution will be nationwide, and Sears Home Services and Innovel Solutions units will provide delivery, installation, and other services. As an added feature, Sears will sync its full line of Kenmore Smart appliances with Amazon’s Alexa. The integration means that customers will able to control the appliances with a voice command. Sears’ alliance with Amazon is its latest move to remain competitive as more players, such as Best Buy and Lowe’s, among others, continue to crowd the marketplace, stealing more share from the appliance category. 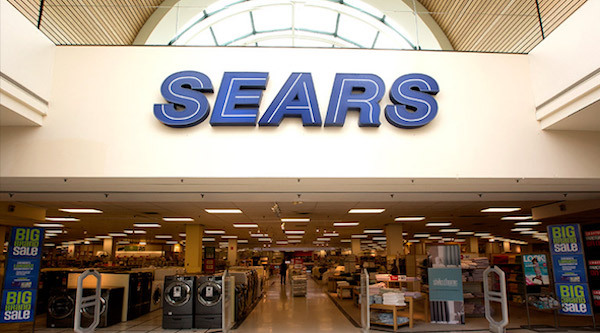 In another proactive move to take back those category sales, Sears recently introduced a new store concept that caters specifically to the appliance category. Located in Pharr, Texas, the new Sears Appliances & Mattresses stores features interactive displays of top home appliances brands in kitchen vignettes.